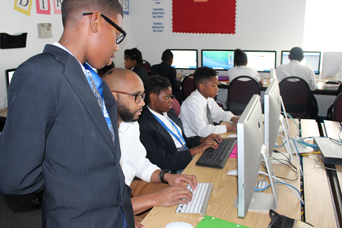 Alliance For Progress Charter School is a K-8th grade charter school with 446 students and is located in the heart of North Philadelphia, PA adjacent to Temple University. The School has an outstanding tradition of educating children since 1998. In addition to competitive salaries and benefits, Alliance is committed to having a positive collegial community and we believe in the professional development of our faculty. We will endeavor to keep this list of job opportunities as up-to-date as possible, but note that we will remove job listings as we hire for them, add additional jobs or make changes as needed. Fill out this downloadable employment application. Send the application (e-mail preferred), along with your cover letter, resume and references, to careers@afpcs.org. To ensure the safety of our students, we also require criminal background checks (FBI and Pennsylvania) and child abuse clearance. PA CERTIFICATIONS ARE REQUIRED FOR ALL POSITIONS.